Arora's Hero Dog Becomes a Mom (and is due again!) - Arora Engineers, Inc. In 2016, we were very proud to announce that our employees raised $5,000 to become a Puppy Sponsor with the Hero Dogs program as part of Arora’s ongoing employee-led charity initiatives. Hero Dogs raises and trains puppies to become service dogs and places them, free of charge, with our nation’s Veterans to assist with daily living tasks and improve their quality of life. We sponsored a yellow lab named Clara Barton, named after Clarissa “Clara” Harlowe Barton, founder of the American Red Cross. Clara was placed with a puppy raiser/trainer in the Hero Dogs program to learn house manners, basic commands, and the necessary foundational skills to become a service dog. In October 2017, Clara moved on to advanced training. 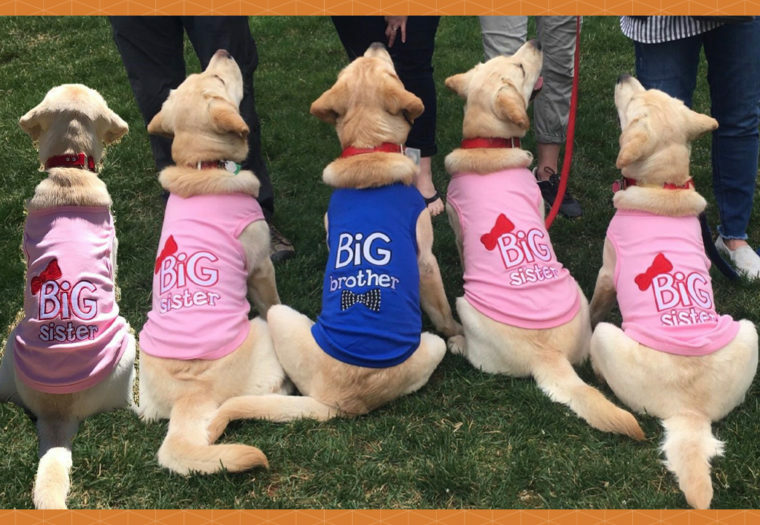 In October 2018 Clara gave birth to a litter of 5 “future service dog” puppies! 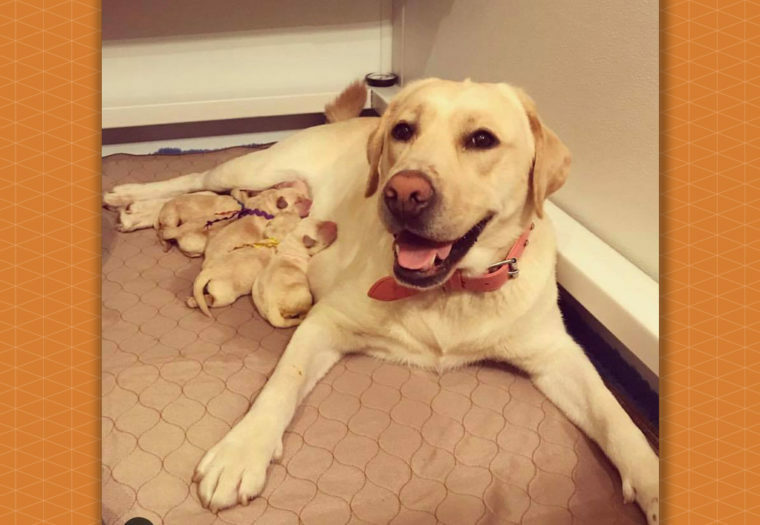 She recently came off of maternity leave and her puppies (1 boy and 4 girls) were moved to their new homes to be raised by previous Hero Dog raisers, including Clara’s original trainer, Becca (Becca is now raising Clara’s daughter Pearl, named after the USS Pearl Harbor). And, surprise! Clara is now expecting her second litter of Hero Dog puppies! Please consider a gift or donation to Hero Dogs in honor of mother-to-be Clara, who can’t wait to be a mom again. We invite you to learn more about Clara’s progress and activities on her blog.